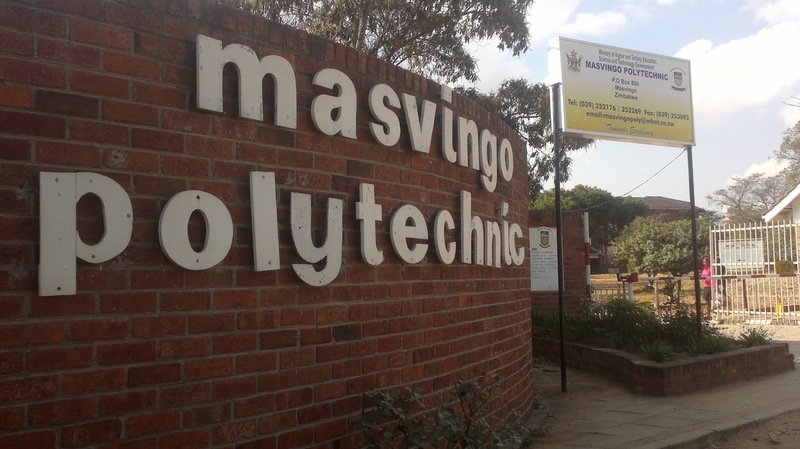 Students at Masvingo Polytechnic College were yesterday ordered to re-write a Higher Education Examination Council (HEXCO) exam under the watchful eye of the Zimbabwe Republic Police (ZRP) amid fears of a demonstration over the decision which students cited as an unjust call by the school authorities. The college management went on to run the examination process dispite the fact that students had successfully secured a court order to stop the process. Students from engineering, technical graphics, commerce and diesel plant fitting among others who sat for the November 13, 2018, examination in the school dining hall had their results suspended after HEXCO external assessors caught some students cheating. The eternal assessors should have disqualified the cheating students immediately but they are said to have let them proceed with the exam in direct violation of the examination rules. The students had refused the first attempt for a re-write and threatened to take legal action against the school but the second re-write attempt seems to have succeeded with the help of the police. At least 15 police officers armed with button sticks and a police dog manned the school premises while on high alert as the exam was reportedly in progress. Students argued that the authorities had to disqualify the cheating students not everyone since the perpetrators had been caught committing the offense. However, when TellZim News crew visited Masvingo Poly for further investigations, the police were seen loitering around the school gate and some of them seated in their pickup truck while the students were reportedly writing the exam. Contacted for comment, the school principal Engineer Calisto Muzongondi rubbished the reports and claimed everything was going smoothly and claimed the exams were in progress. "No one has refused to write an exam. Everything is going on well. All our students are writing their exams," said Muzongondi. However, asked on the reason why there was police presence at the school premises Muzongondi said the police were doing their normal job and maintaining order. "The police are just doing their everyday job, they are here to maintain order if need arises," added Muzongondi.